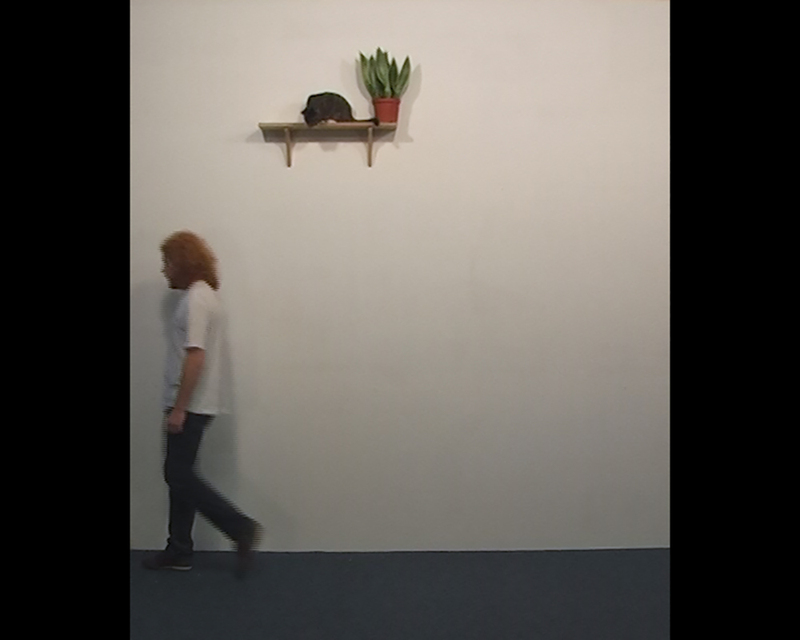 2007 | PAL Video | 2'24"
In this video all ingredients for an accident seem to be present: A cat, a plant on the edge of a shelf and the artist who stands directly underneath that plant. It seems like Beckers is waiting for disaster. However the cat doesn't seem at all interested in causing such an accident and after two minutes Beckers abandons the attempt. 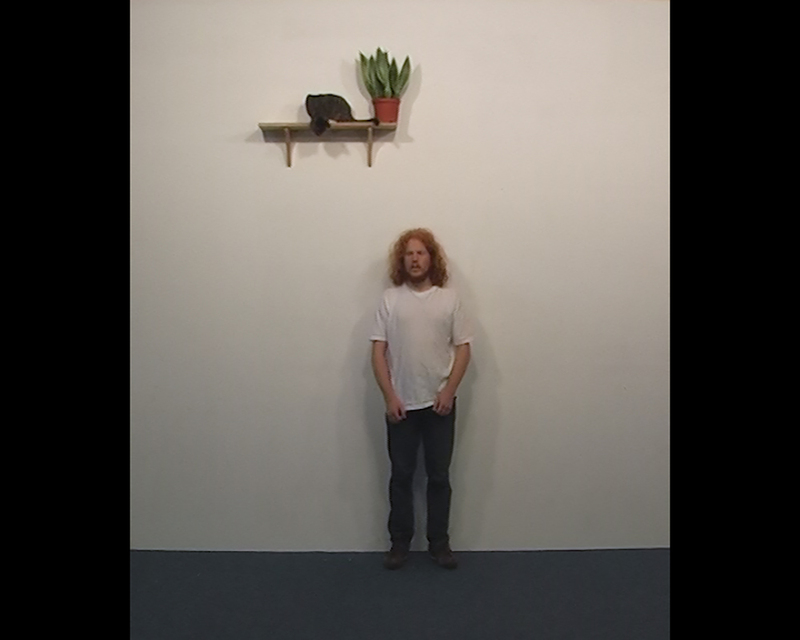 Thereby creating a failure in a failure, where the anticipation of an act is never realised.